September is “vision month” for Capital Community Church, and they are revisiting the “Faith, Hope, Love” theme they opened the year with. 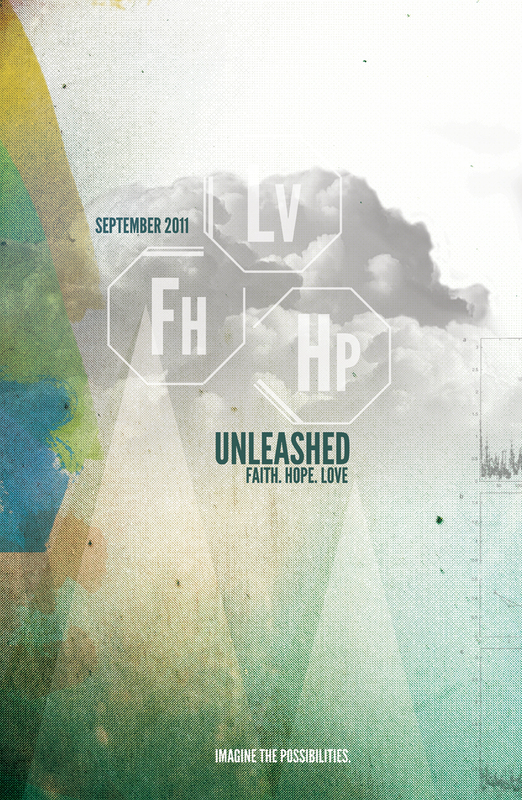 This poster was created for the new twist on the series titled “Unleashed”. If you would like custom graphics for your next sermon series, just click on the “contact” tab above and shoot me an email! Just a glance at the promotional poster for Goodlettsville Pentecostal Church’s Easter service. 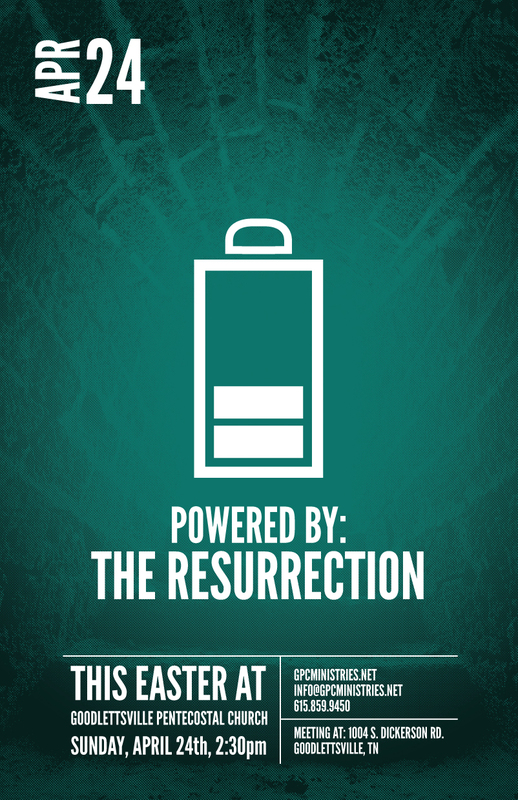 I loved their theme: Powered by the Resurrection. If you are interested in custom graphics for your church sermon series, click on the contact tab and shoot me an email…I would be glad to chat with you! After hearing the news of the Japan Earthquake on March 11, 2011 I knew that I wanted to “do” something to give back to earthquake relief efforts. Soon after putting my poster up on my site I started getting emails that my other sites were linking to my post and spreading the word. 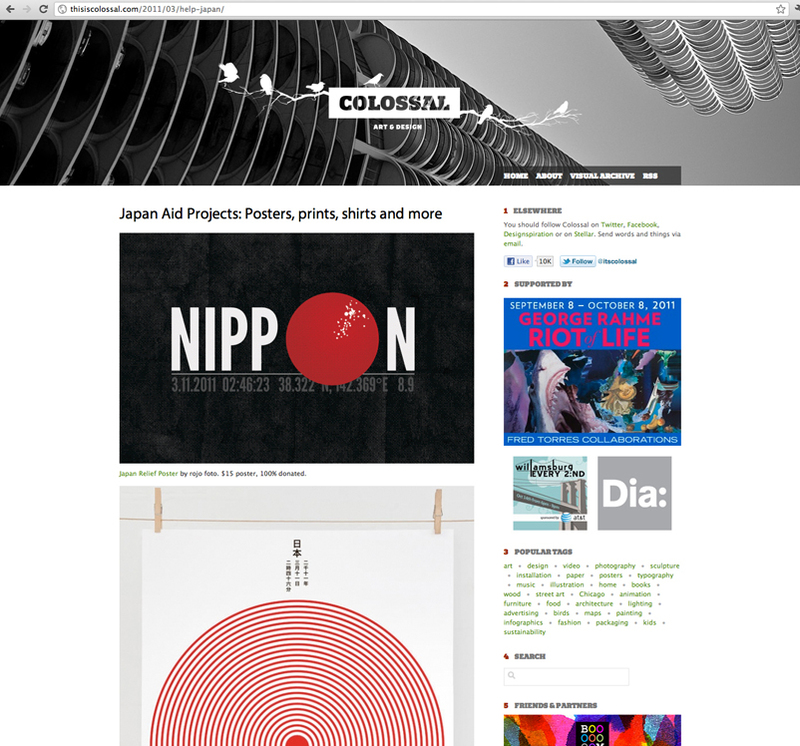 Thanks to This Is Colossal for including my poster with a number of other amazing designs to help earthquake relief! …Through this post I found another site that I have to check out daily for all of the cool stuff featured! We have all been devastated by the news, images, and videos that we have seen coming out of Japan today. If you are like me, I am always trying to think about what I can do in these situations, using what gifts I have to help in some way (even if it is a seemingly small manner). So today I created an 11×17 poster. There have been a number of relief poster projects that have surfaced after major disasters (Hurricane Katrina, the Haiti Earthquake…), but I don’t know of anything for Japan yet. Here is what I am going to do. I will offer this poster for purchase, with all of the proceeds going to TEAM (the organization I work for) who has over 100 workers in Japan. Cheyenne and I (well, mostly Cheyenne…with my FULL support!) have been working our way through Organized Simplicity, and one of the steps is making a family mission statement. This mission statement allows us to have laser-sharp, holistic focus on where our time, finance, and energy goes. I was really excited to complete this task…and I am really happy with the results. While making timeless memories together, we desire to give unsparingly, value diversity and creativity, and to be honest, peaceful and compassionate.